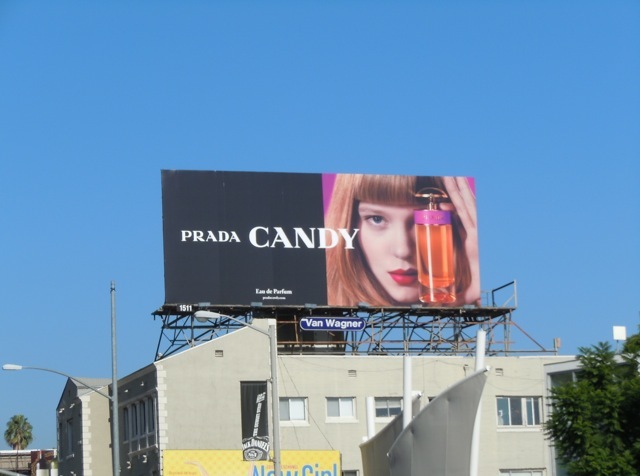 This cool candy coloured perfume bottle, held by actress and model Lea Seydoux with a fierce fringe, really captures your imagination along L.A.'s Sunset Boulevard. 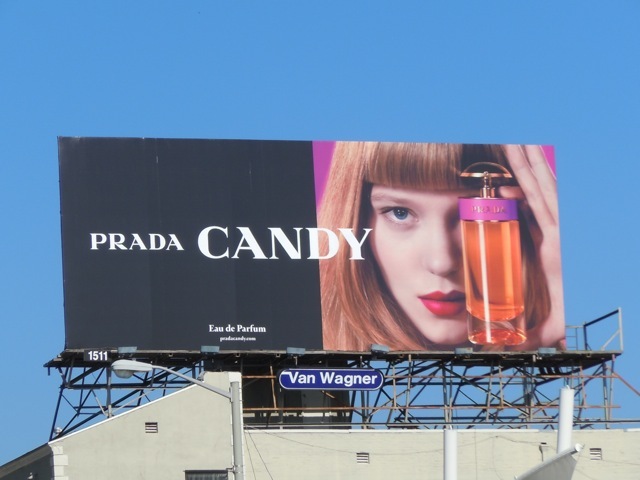 This stylish Prada fragrance billboard was snapped near L.A.'s infamous Chateau Marmont Hotel on October 18, 2011. 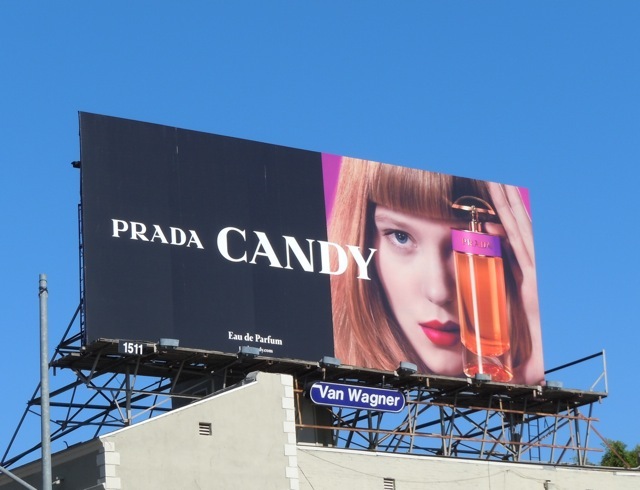 If you like this ad, be sure to check out more Prada fashion billboards here at Daily Billboard, and for more eye candy come back tomorrow.